Allow your licensed tour guide to take you on a private tour around the city of Toronto. Learn about the history of Toronto and Canada in comfort and relaxation. See all the major attractions and highlights only found here, and never miss a photo opportunity. Please note: Tour is priced per group. Choose between a luxury car that seats up to 3 people or a luxury SUV that seats up to 6 people. Travel in style like a VIP as you embark on a fabulous 2 hour private guided tour of Toronto. Your licensed tour guide will show you all Toronto has to offer and share tips on local hot spots, restaurants and fun trivia. Personal pickup is available from your hotel. Travel in a luxury vehicle and see the daily lives of some of the six million people that live in Toronto. Learn about the CN rail and the Toronto Harbourfront. Stop for pictures at Fort York, a very historical battle grounds from the war of 1812. Learn how the fur traders used to use Yonge Street and Bloor Street to travel goods. See Kensington market and one of Toronto's six Chinatown's. Lets not forget the beautiful Casa Loma, home to Sir Henry Pellatt. 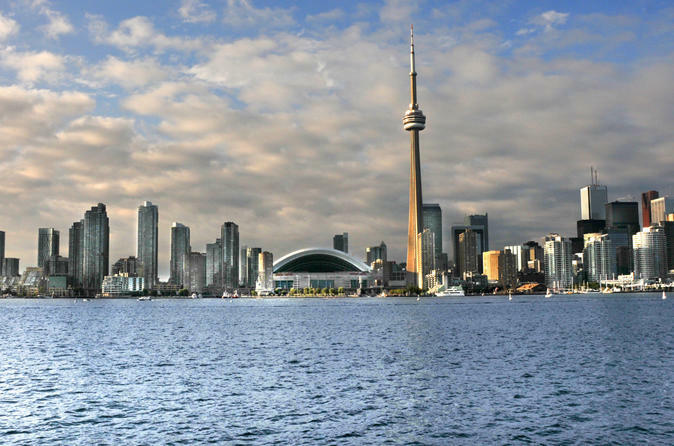 Learn about the various cultures and cuisine that Toronto has to offer. See breathtaking views of the Toronto skyline. No photo opportunity will be missed on this luxurious and private VIP tour. After the tour is complete, your driver/guide will drop you back off at your hotel or one of the highlights as seen on the tour. Highlights include: Rogers Centre, CN Tower, Harbourfront, Distillery, Ripley's aquarium, Hospital alley, St. Lawrence Market, Financial district, Eaton Centre, Yorkville, Casa Loma, U of T grounds, Chinatown, Kensington Market, Bata Shoe Museum, ROM, AGO, Harbourfront, Hockey Hall of Fame, Entertainment District, Roy Thompson hall, Old City Hall, New City Hall.